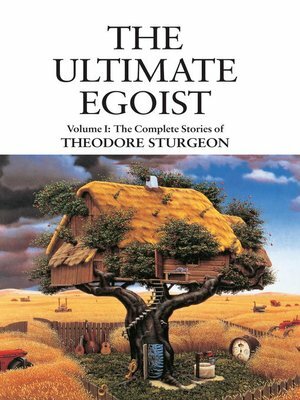 The Ultimate Egoist, the first volume of The Complete Stories of Theodore Sturgeon, contains the late author's earliest work, written from 1937 to 1940. Although Sturgeon's reach was limited to the lengths of the short story and novelette, his influence was strongly felt by even the most original science fiction stylists, including Ray Bradbury, Arthur C. Clarke, and Gene Wolfe, each of whom contributes a laudatory foreword. The more than 40 stories here showcase Sturgeon's masterful knack with clever, O. Henry-ish plot twists, sparkling character development, and almost archetypal, why didn't I think of that? story ideas. Early Sturgeon masterpieces include "It," about the violence done by a creature spontaneously born from garbage and mud, and "Helix the Cat," about an inventor's bizarre encounter with a disembodied soul and the cat that saves it. Sturgeon's unique genius is timelessly entertaining.